Through the seventeenth century, Brooklyn remained a predominantly rural area—by 1800, the entire county had only 4,495 residents.... However, in the first years of the 19th century, Brooklyn's waterfront began to emerge as a commercial hub to rival Manhattan. In 1836, many of the waterfront communities of Brooklyn incorporated into a city of their own, in part to regularize and oversee the port. The new city held a design contest for a grand city hall to stand just up the hill from the ferry. However, the contest’s winner, Calvin Pollard, got no further than laying the foundations before Brooklyn had to quit the project due to lack of funds. By 1845 funds had been secured and builder Gamaliel King (who’d been the runner-up in the contest) was brought on to finish the job as long as he could make his building fit into Pollard’s foundations. The resulting City Hall, opened in 1848, is one of the most impressive Greek Revival buildings of its era. As Green noted in his proposal, the more than 1.5 million people in New York’s environs were “all drawing sustenance from the commerce of New York” while “contributing but little toward the support of its government.” It’s a problem that still vexes the city to this day—thousands of people come into New York to earn money, then retreat to the suburbs to spend that money and contribute to another municipality’s tax base. In the nineteenth century, the primary suburb was Brooklyn, and New York wanted its piece of the pie. 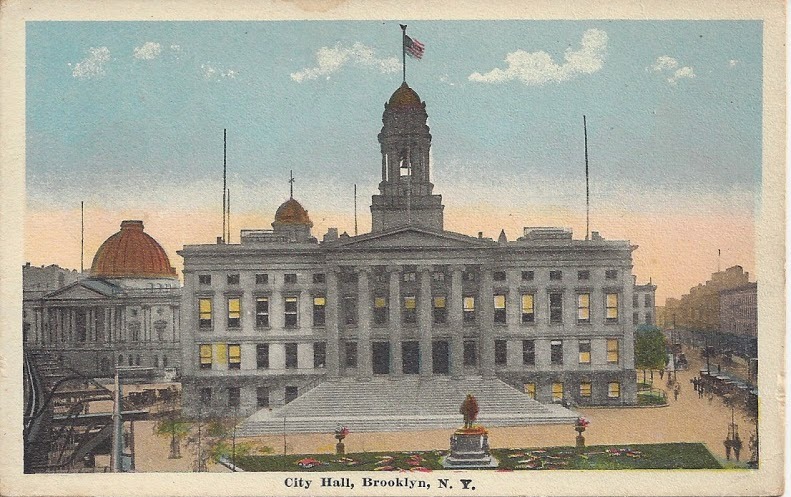 On January 1, 1898, the two cities finally merged, and Brooklyn's City Hall was demoted to being Borough Hall. The fancy Beaxu-Arts cupola was added that same year, perhaps as a consolation prize. In the foreground of the postcard, notice the statue of Henry Ward Beecher. 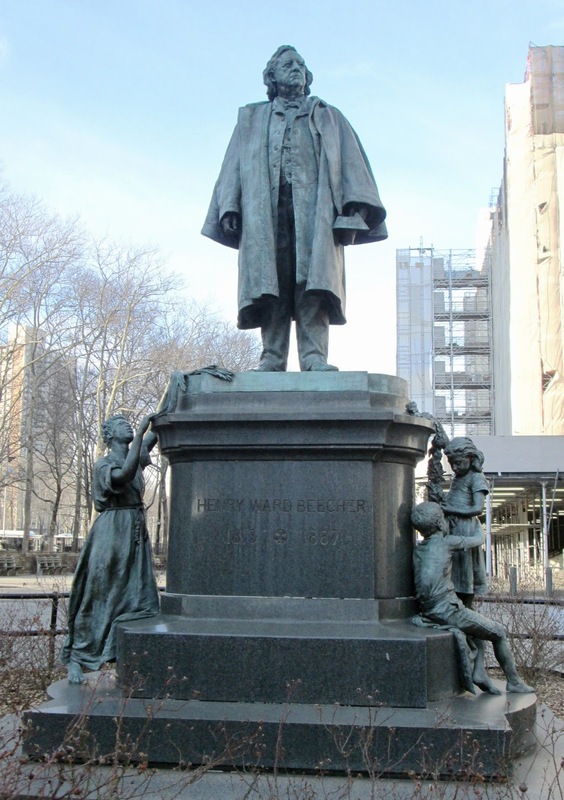 During the creation of Cadman Plaza, Beecher's statue was moved to the other end of the plaza, and now faces Borough Hall. 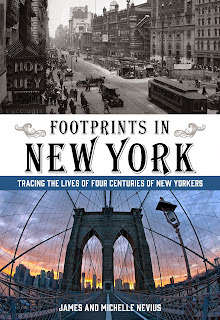 Footprints in New York comes out April 15, 2014, but you can pre-order today from Amazon, Barnes & Noble, and many more. Postcard Thursday: "The Ghetto, New York"